This book treats the situation and the position of Pre-University Education Talented Students in the region of Anamorava. 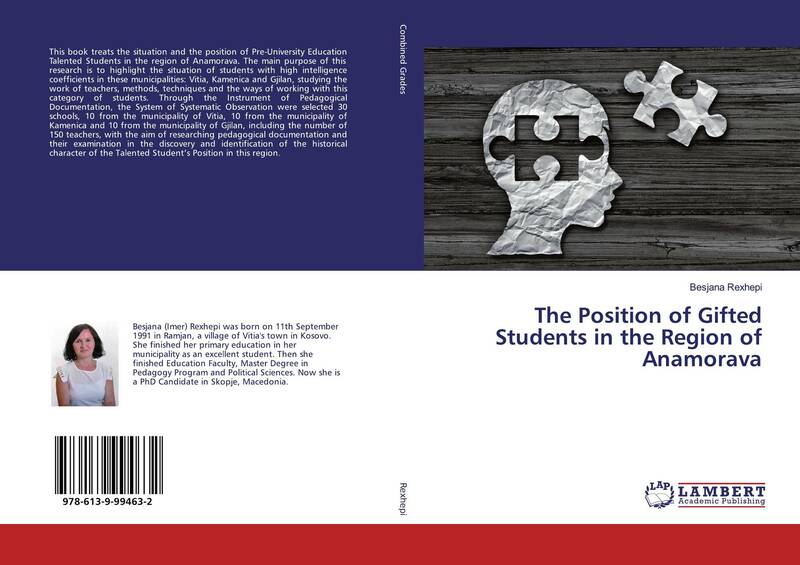 The main purpose of this research is to highlight the situation of students with high intelligence coefficients in these municipalities: Vitia, Kamenica and Gjilan, studying the work of teachers, methods, techniques and the ways of working with this category of students. Through the Instrument of Pedagogical Documentation, the System of Systematic Observation were selected 30 schools, 10 from the municipality of Vitia, 10 from the municipality of Kamenica and 10 from the municipality of Gjilan, including the number of 150 teachers, with the aim of researching pedagogical documentation and their examination in the discovery and identification of the historical character of the Talented Student’s Position in this region.